A crowded space will be great for everyone, especially shoppers. 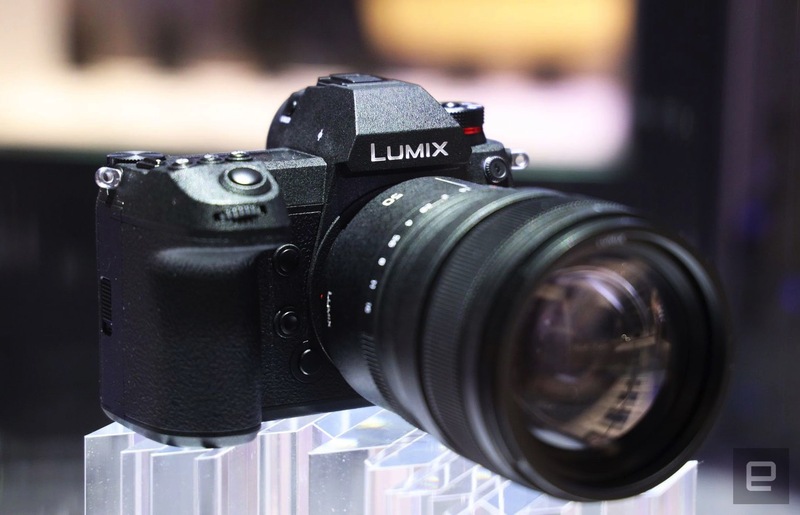 While these are still in development and likely won't launch until next year, the fact that Panasonic has finally given in and is making a full-frame mirrorless shows Sony is about to start facing some serious competition. It validates all the efforts the company's been making in that market for the past few years, leading up to the gold standard that's its latest model, the A7 III. Of course, Panasonic isn't the only company that's going to try to catch up to Sony. Canon and Nikon both recently announced full-frame mirrorless cameras of their own. Nikon's new flagship, the Z7, just launched and comes with a 45.7-megapixel sensor, 4K video, a 493-point autofocus system and a lot more features that are designed to match Sony's A7 III. The Z6, which arrives in late November, has a smaller 24.5-megapixel sensor and will be a more affordable option for people who don't need the higher resolution of the Z7. 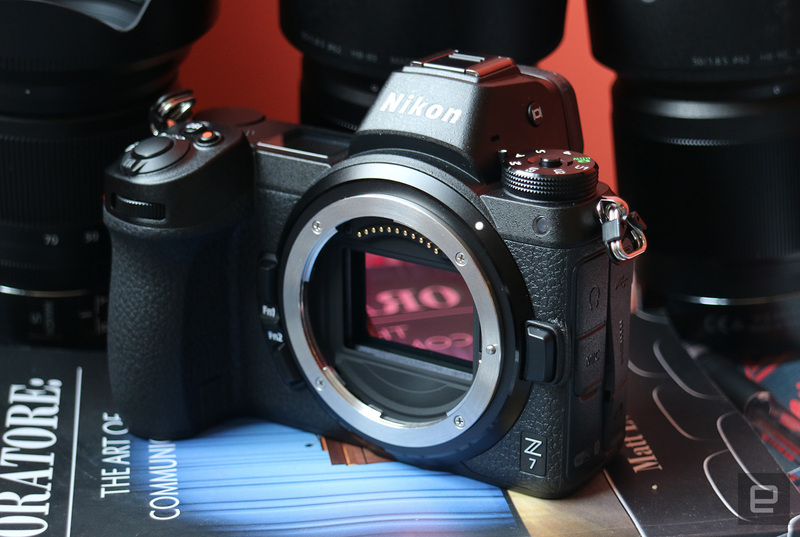 Nikon probably should've made this move sooner, but the company said it wanted to make sure it got it right -- and based on our brief time with the Z7 and Z6, they are indeed promising. From day one, Nikon's Z7 (and Z6) will be compatible with over 90 Nikkor lenses with full AF/AE (three are native so far), thanks to a handy adapter. Once upon a time, one of Sony's main weaknesses with its Alpha mirrorless cameras was limited lens portfolio, but not anymore. There are currently 48 E-mount lenses, and Sony revealed at Photokina that it is already working on 12 more that will be coming out in the near future. 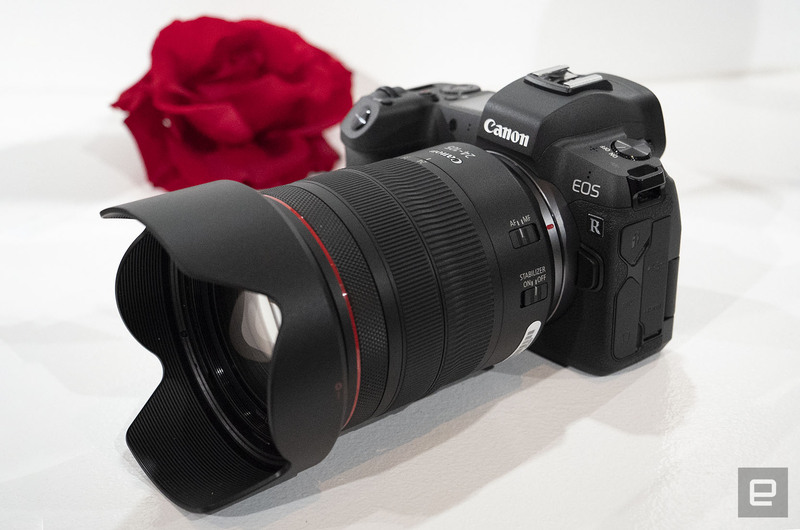 Canon, meanwhile, is gearing up with the EOS R, a 30.3-megapixel mirrorless camera aimed at photographers and videographers alike. Internally, it's nearly identical to its top-of-the-line DSLR, the EOS 5D Mark IV, with a similar resolution, Dual Pixel AF system, shooting speeds, ISO range and 4K video capabilities. That said, the EOS 3 does have a few shortcomings: It doesn't have in-body image stabilization, as most of Sony's full-frame mirrorless cameras do, and the cropped video is surely going to drive some people away. Still, EOS R also has the benefit of being compatible (via adapter) with all of Canon's EF and EF-S Lenses -- of which there more than 100. Panasonic said at Photokina that it has high hopes for its S1R and S1, and for the full-frame mirrorless format as a whole. 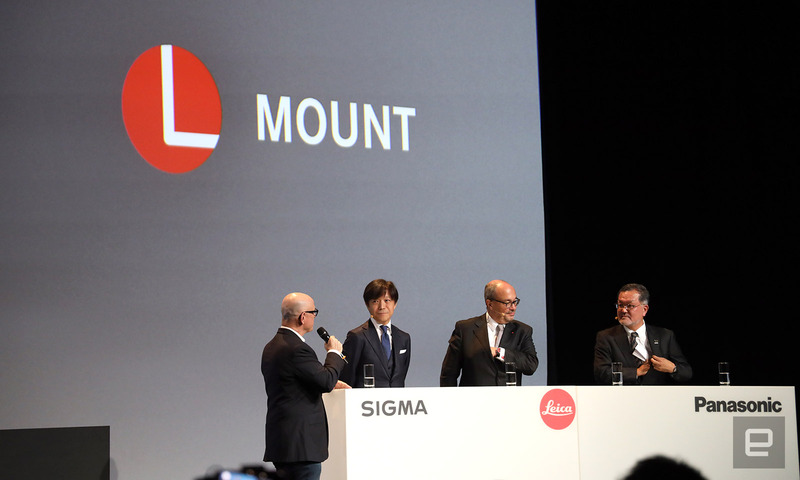 That's why the company teamed up with Leica and Sigma to form the L-Mount Alliance, which will ensure that future full-frame and APS-C cameras and lenses from them will all support Leica's L-Mount. "As cameras evolved into digital and mirrorless, requirements from users and systems introduced by each brands diversified," Sigma CEO Kazuto Yamaki said in a press release. "Currently, there are overwhelming choices for users, but in terms of extensibility and possibility, the system truly meets user's needs is not yet available." This partnership between Panasonic, Leica and Sigma is important because it means their lenses will work with each other's cameras, and users won't have to be locked in on a particular ecosystem. And it means there are probably going to be lenses and cameras for all kinds of budgets. The alliance may not be enough to scare Sony right now, considering it's been playing the mirrorless game for years, but it will make the market more interesting. It could be similar to the Micro Four Thirds standard created by Olympus and Panasonic in 2008, which eventually saw other manufacturers contributing to it. Competition is good for everyone, especially buyers, who are the ones who will benefit the most from having options from Canon, Nikon, Panasonic, Zeiss and others, not just Sony. Beyond that, it will force Sony to keep innovating and pushing the envelope with its E-Mount cameras. It's not like the company has been resting on its laurels, though, even as it was basically the only one taking full-frame mirrorless cameras seriously. It's too early to tell if any of these newcomers will get close to ever taking the number one spot from Sony, but at least now we know they're trying.